This site will always remain free, but it is increasingly a struggle. If you value it, please help me keep it online. I've updated the page on Makin' Magic and added some information about Magicoins to the area. 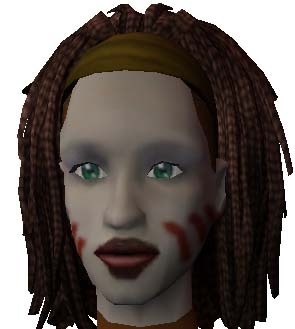 Still struggling with Sims 1. But I managed to make a few Victorian tiles today for here. I've been playing again. But today I discovered that Simblesse Oblige website has gone: this is a great sadness. For now, most of the downloadables are salvaged - see this thread on TerraLuna. 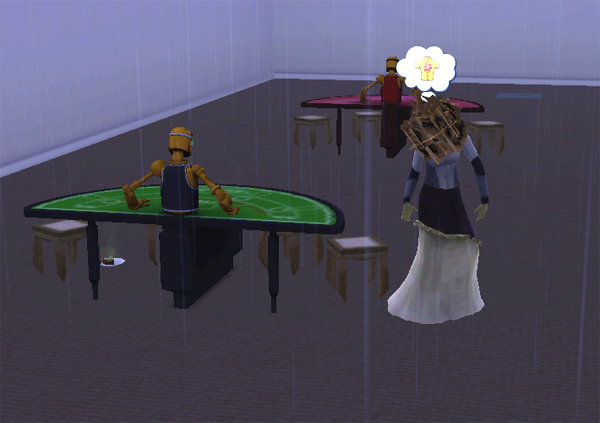 I don't think we'll be able to recoup the wonderful Sims 1- specific wisdom and experience hosted by that forum. Updated Sims 1 Easter Eggs page. So I'm playing in Konigsberg. Older Konigsberg stories begin here. The latest story is here. You can get the world Konigsberg Later, a large relatively urban world which I made, here. 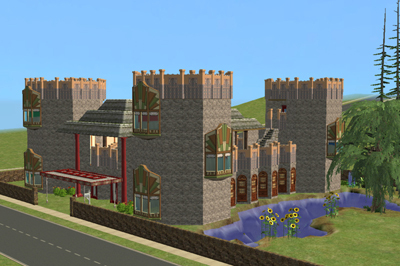 I've updated some of the Sims 2 information pages. 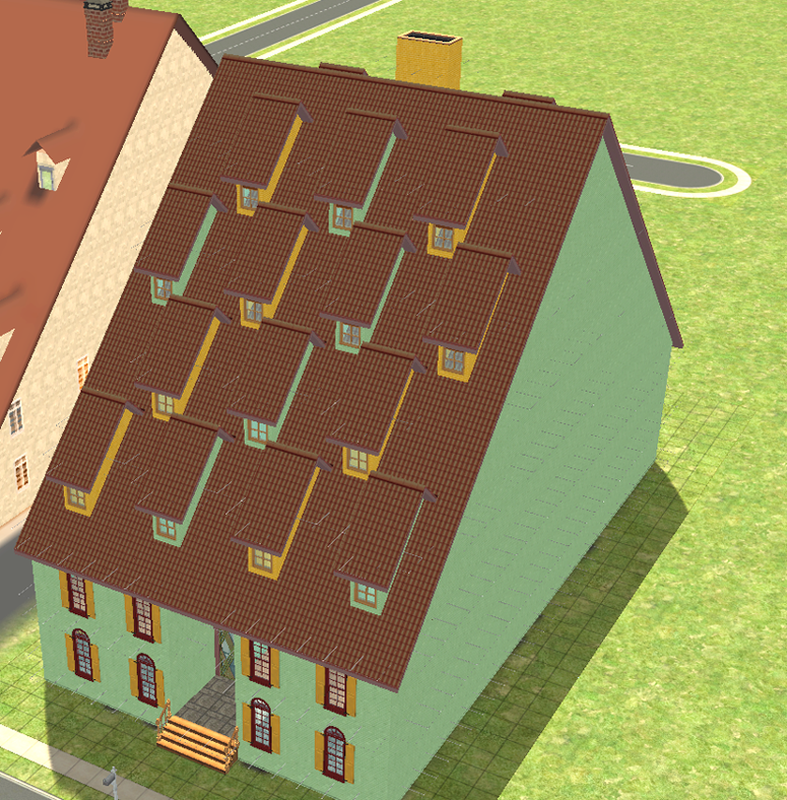 The Large Female page for Sims 2, for instance, as I have a few variously-shaped Sims in Konigsberg. More soon. The Steins' Photo Album from Silent Hill. 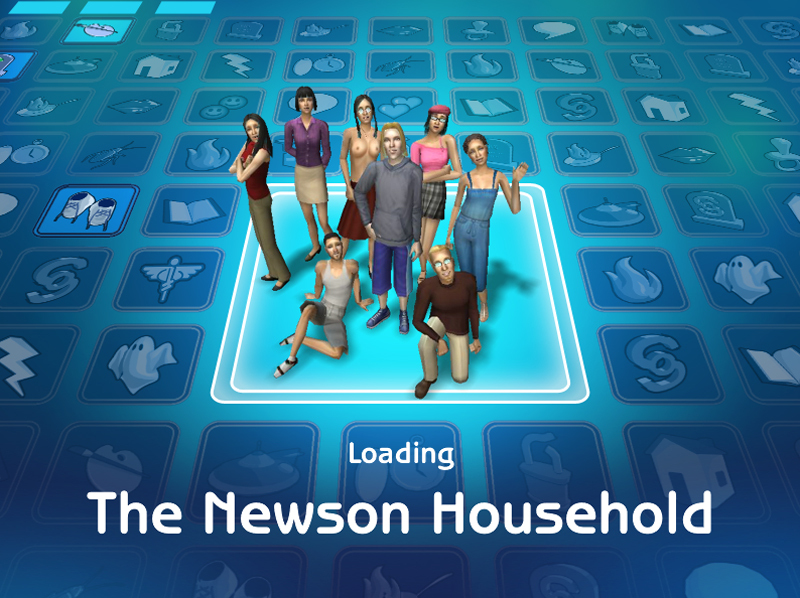 I've been playing mostly Sims 2 lately. What happened to the Beaker family. The final form of the Beaker home rebuild. (Click on the image for link). 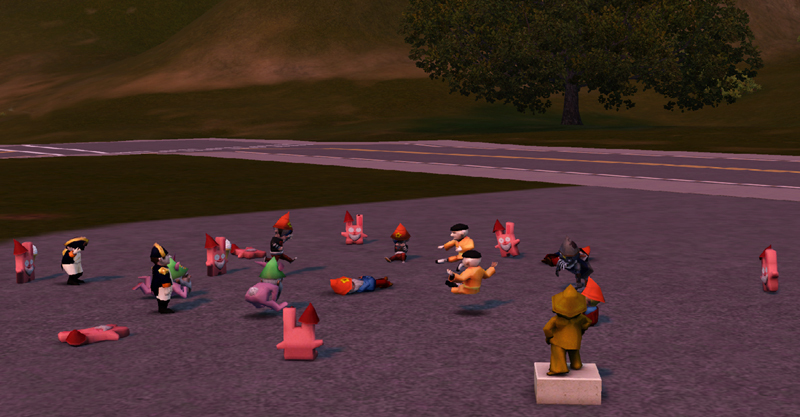 I've been playing Sims 2. The Beaker mansion (castle?) was destroyed and this is all that was left. So Loki used some of his considerable fortune to build a new house over the crater. Once they have moved back in, he intends to expand the house a lot more. A new world - Sortner's Malm. Both tales have someone familiar in them. And introducing The Clouseau Institute! Continuing my London story More London and Lister and Lights. Here is a little story from London. London Dwarf. I got my Sims 1 working! And it is SOO adictive. And so much fun, haven't opened any other game.. . I've made a few things. See here. Also been updating links and Yahoo links. I've been looking at worlds. Made a set of links to currently-available ones. 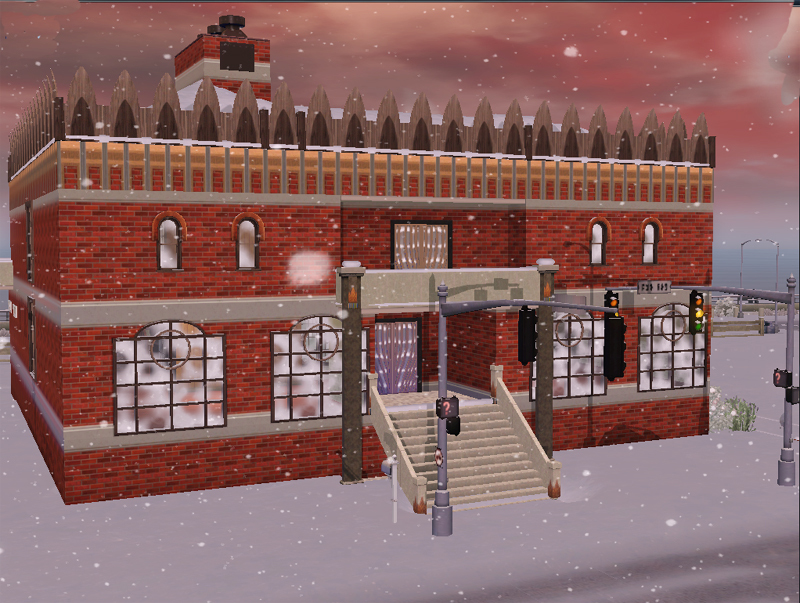 A converted factory for Sims to live in. 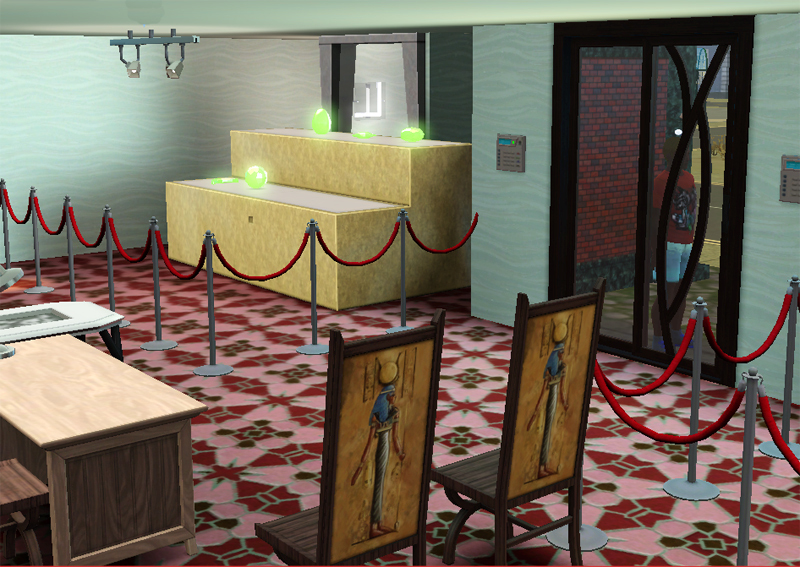 Tita's Academy has had some fairly major renovations done, and new collections added. Some stories from Venice Lagoon start here. I've updated the section on Prefab homes. A historic day, I suppose. I sort of feel like this female - er - zombie. Mediaeval Small Houses. 5 new tiny and very mediaeval homes. Dr Terrible's Science Lab is recruiting! 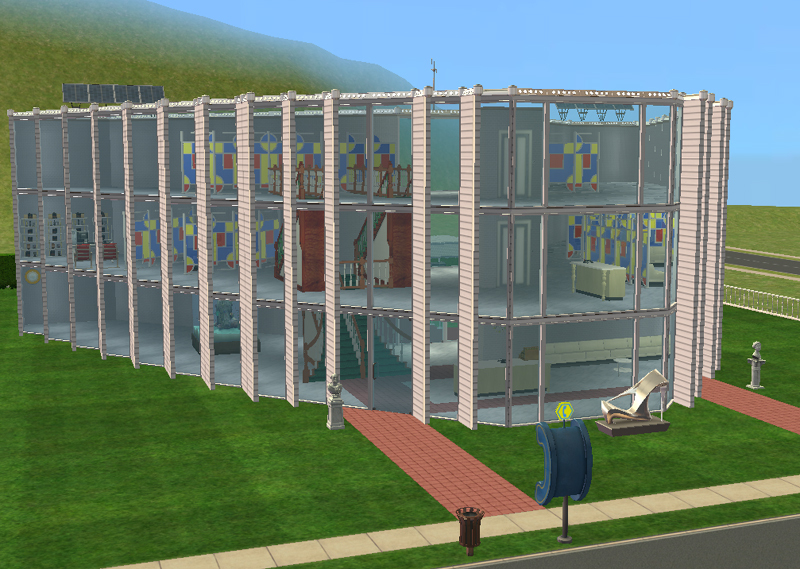 Another building for my Brzozowski-inspired world, Tytus. The Full-Bodied Businessman's Association Gym. I've been working on a set of buildings. All inspired by the watercolour paintings of Tyrus Brzozowski. Back to Umay in Lunar Lakes. Lifestories - the first of an occasional series. Progress on Transmogrification for the geeks among us. And a wedding and a farce for T'Resa Lights in Coconut Island. 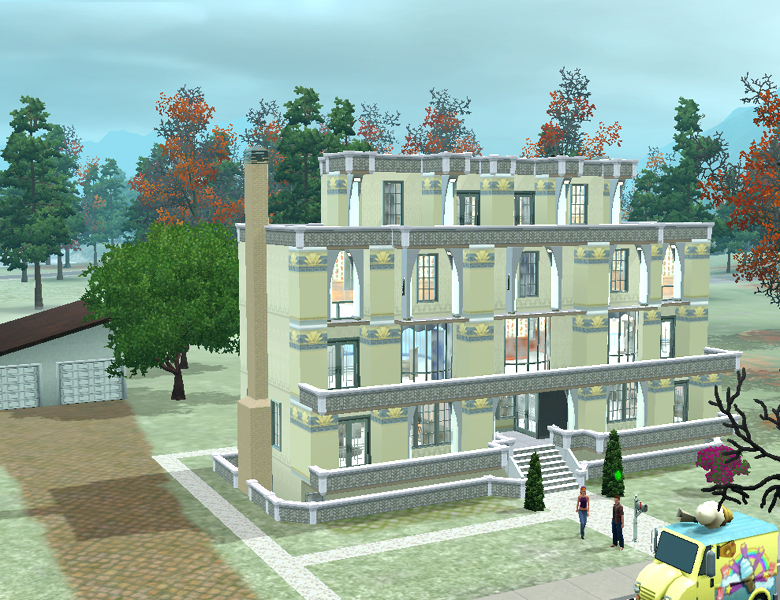 A new residential property; a rather grand house called Century House. Which century is not clear. Umay finally reached her LTW and aged down, previously thought to be an impossible feat for Mummies. Back to Lunar Lakes and Umay. Some building experiments led to Witch's house. Downloadable in no-CC form here. The Salamans moved to the Bleake Islands. Having finally made it to Rock Star, Elvis moved to Venice Lagoon. Lustron Houses for Wild Palms. I've updated the stories of TitaI Lights and her family in Starlight Shores, starting here. 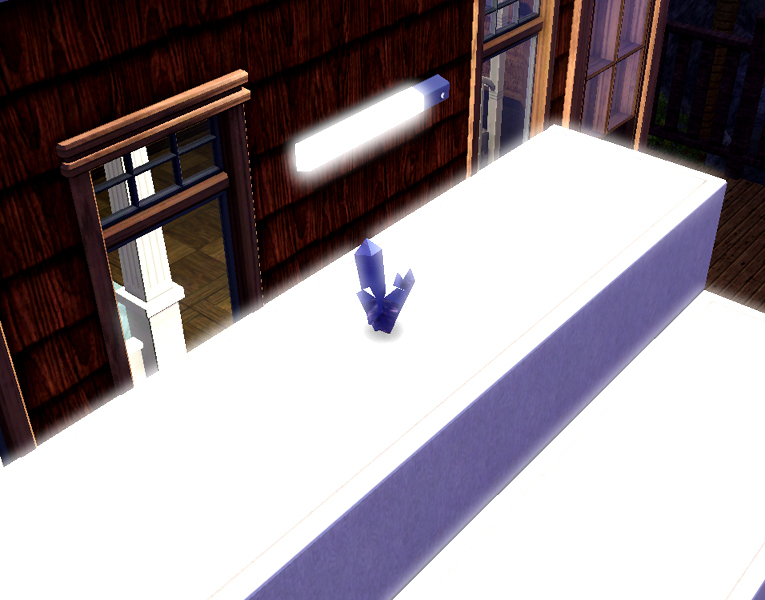 A new Sim. Gagool, a fearsome witch. A new Town Hall, or offices. 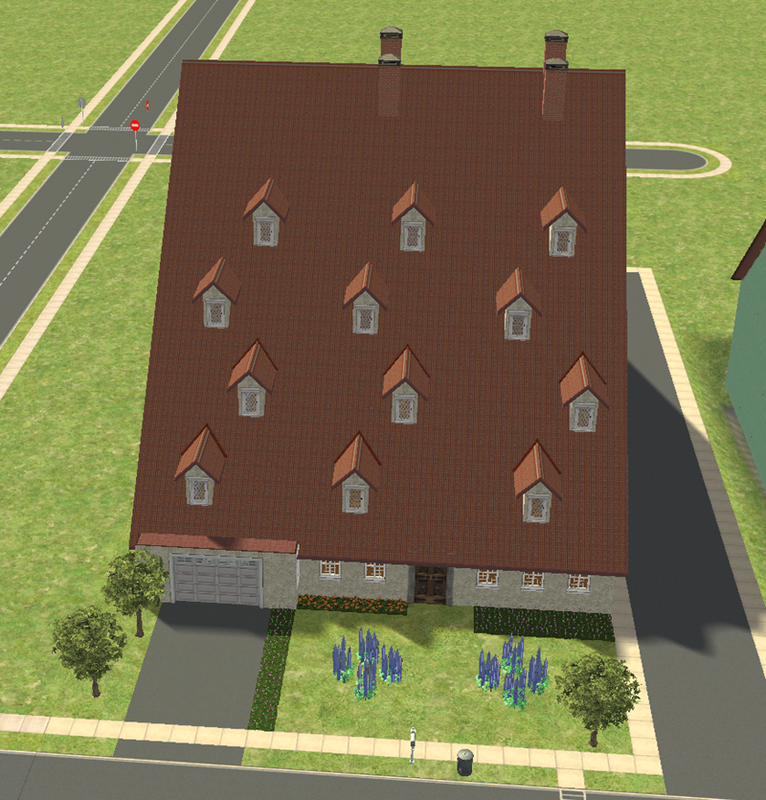 Blog updated, for the anniversary of SIMS 1! 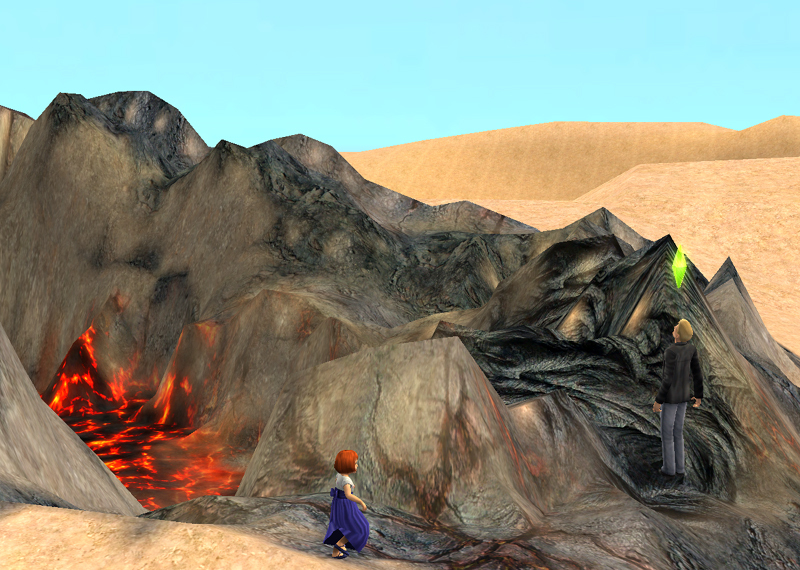 Wild Palms - a new desert world, or an old world with new Sims. And some old favourites. 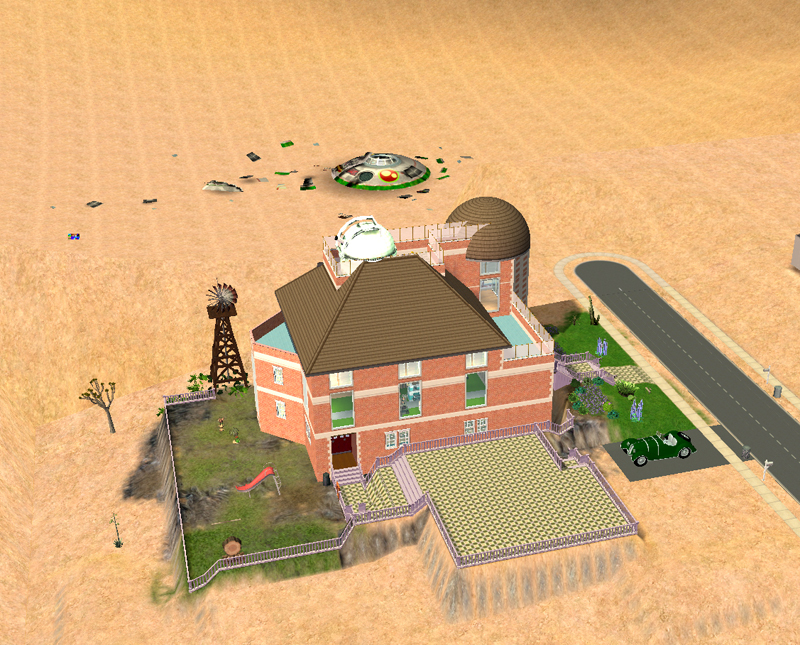 Sadly, my Sims 2 Uberhood is now officially dead. A sprinkling of stories from Great Bear. Back to Isla Paradiso. The Curious-Lights family moved in... the place will never be the same. A couple more updates from the Uberhood. The stories of the Ottomas and the Gothier families.